Prepare to fall in love with this delicious, original, and authentic hot sauce that is full of heart, warmth, and nostalgia packs just the right amount heat. Add a kick of flavor to your sandwiches, soups, and tacos! 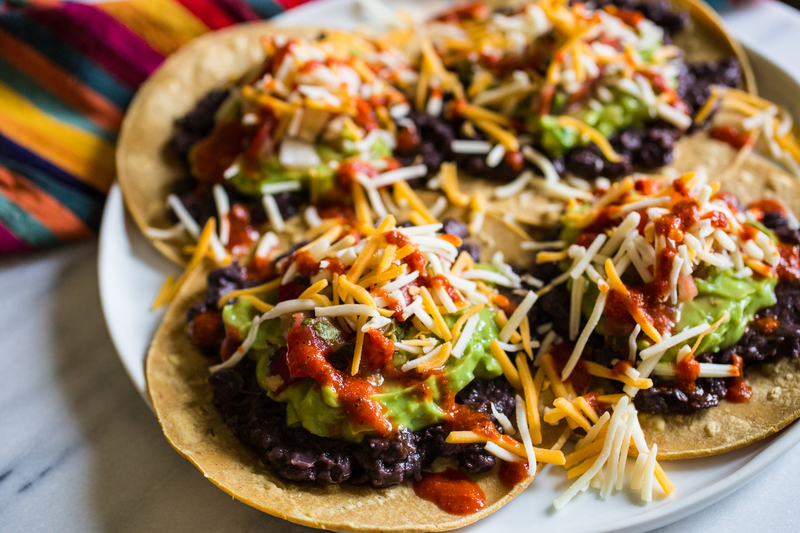 Since it’s #TacoTuesday, we’re sharing a super easy recipe for vegan tacos featuring this delicious hot sauce. Quickly warm your corn tortillas in a pan – about 30 seconds to a minute on medium-high heat. Heat your refried beans according to directions on their packaging. Lay your corn tortillas on a large plate or platter. Spread an even amount of the refried beans on each of the tortillas. Repeat with the mashed avocado and tomato/onion mix. Sprinkle the shredded cheese to your liking. You can pop these back into the microwave to melt the cheese or eat as is. Your pick! Drizzle Tia Lupita’s Hot Sauce and enjoy! Tia Lupita’s Hot Sauce is available at Mollie Stone’s Markets. Don’t forget to share photos of your food creations with Tia’s Lupita’s Hot Sauce with us by using the hashtag #ShareYourTiaMoment and #CookingWithMollies on Instagram or Twitter. 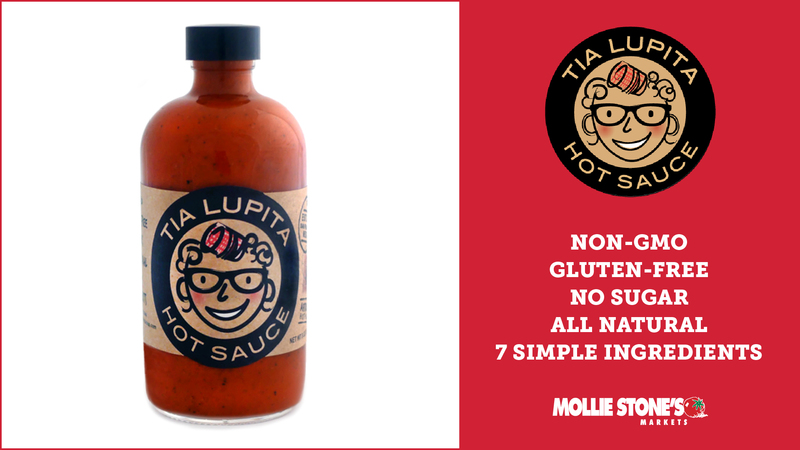 Learn more about Tia Lupita’s Hot Sauce!